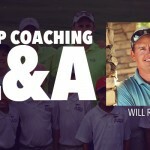 Short game specialist and coach James Sieckmann joins us to share this thoughts on what it takes to be a world-class coach and get better results for students. Always be learning. One of the things that separates GREAT coaches from those that just haven’t quite made it is their ability to always be soaking up new material and ideas to support their students. We’ve heard this again and again from greats like Martin Hall and on this show with James. As a player James didn’t have success when working with teachers and coaches and set out to figure out what actually would work and how to help players. What he realized was they taught instead of coached. It was an information dump with very little information on how to apply it properly. A coach dives into figuring out the whole person. Finding problems and solutions far outside the golf swing to help a student learn and perform at their best. The responsibility of a great coach is to help players coach themselves and be productive with the time they spend improving. Establish the right culture in your business. Choose the students you let in your programs and build your followers around your mission. Bad students make you look bad. There’s a lot more to do than just relay information. You have to understand the student and use what works with them. It took James 10 years to feel like he developed a level of competence at being a great coach and help someone get better. Be willing to leave your patch of grass and learn from others. 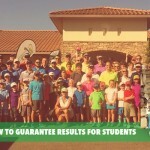 James Sieckmann currently operates the Shadow Ridge Golf Academy in Omaha, NE. Recognized by Golf Magazine as a Top 100 Teacher in America and Golf Digest Top 50, he is a eight time PGA Section Teacher of the Year. 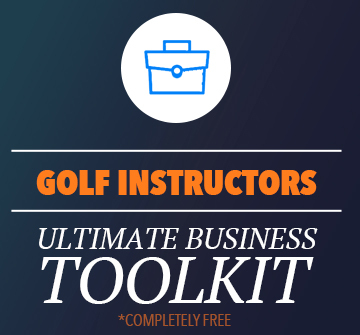 He currently instructs eighteen PGA Tour, Web.com and LPGA Tour Players who have combined to over twenty tour events. 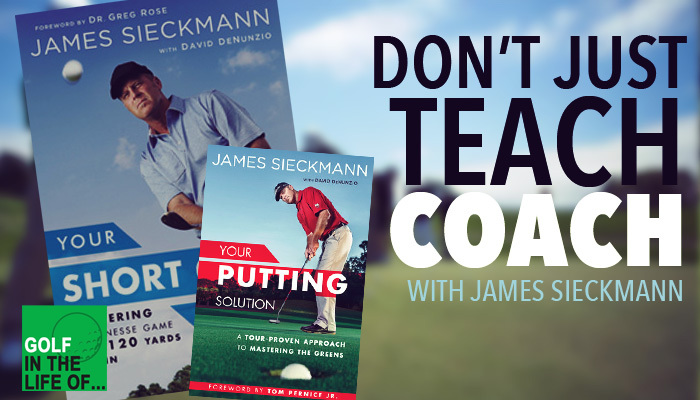 James has presented coaching methods at the World Golf Fitness Summit, TPI Level 3 Golf Professional Certification Courses, and done education for PGA Sweden, PGA Spain and the Federation De Golf Columbia. 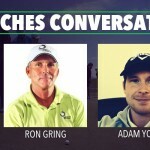 He has appeared on The Golf Channel’s “Golf Academy Live” and has had numerous instructional pieces published such as in the USA Today Newspaper. James co-founded and developed The Speed Stik, a training aid that simultaneously improves balance, flexibility, technique and strength, the product has been used by many of the best players in the world and was endorsed Vijay Singh. Prior to his current position, James taught golf schools in Florida and played professionally in Asia, South America and throughout the world.